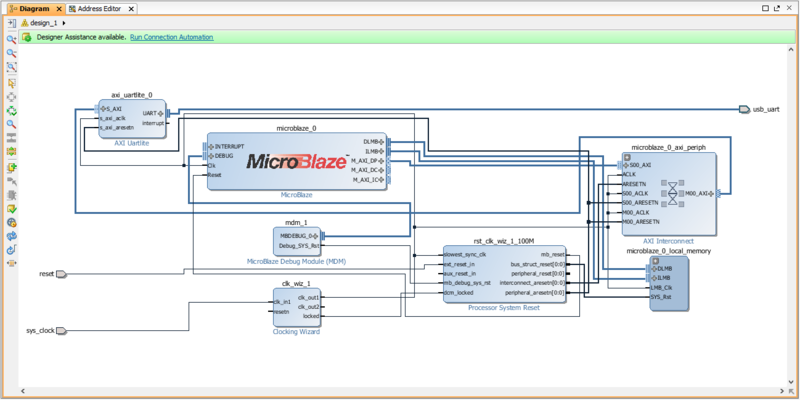 This guide will provide a step by step walk-through of creating a Microblaze based hardware design using the Vivado IP Integrator for the Nexys 4 DDR FPGA board. 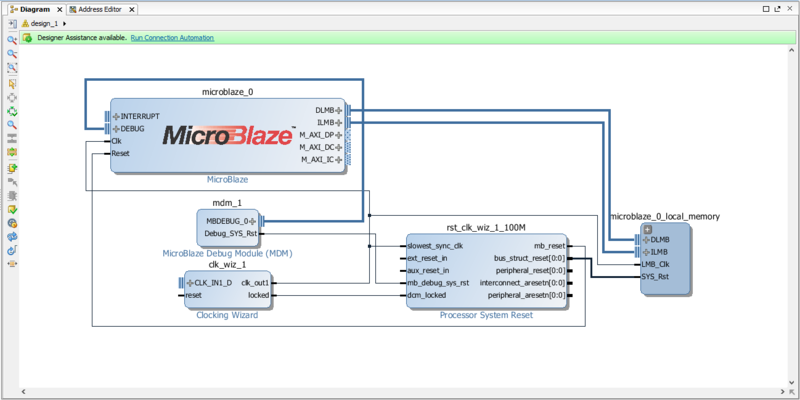 In addition to the Microblaze IP block, we would also like to make use of the DDR2 SDRAM component on the Nexys 4 DDR. Therefore a MIG ( Memory Interface Generator ) IP block will be added to our design. Finally, a UART ( universal asynchronous receiver/transmitter ) IP block will be added to communicate between the host PC and the soft processor core running on the Nexys 4 DDR. 1.3) If you have followed the Board Support File Wiki guide then click next and select Boards. From the filter options make required selections for Vendor, Display Name and Board Revision. Nexys 4 DDR should be displayed in the selection list. A mismatch in selecting the correct board name will cause errors. 2.3) An empty design workspace is created where you can add IP blocks. Add an IP core by clicking on the Add IP icon. This should open a catalog of pre-built IP blocks from Xilinx IP repository. 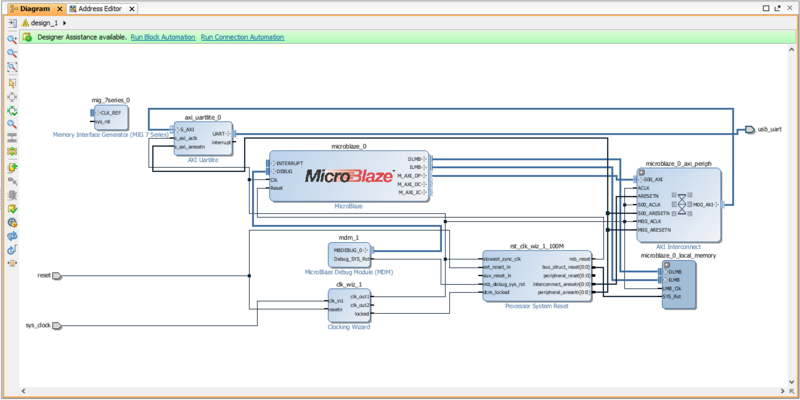 Search for “Microblaze” and double click on it to add the IP block to your empty design. 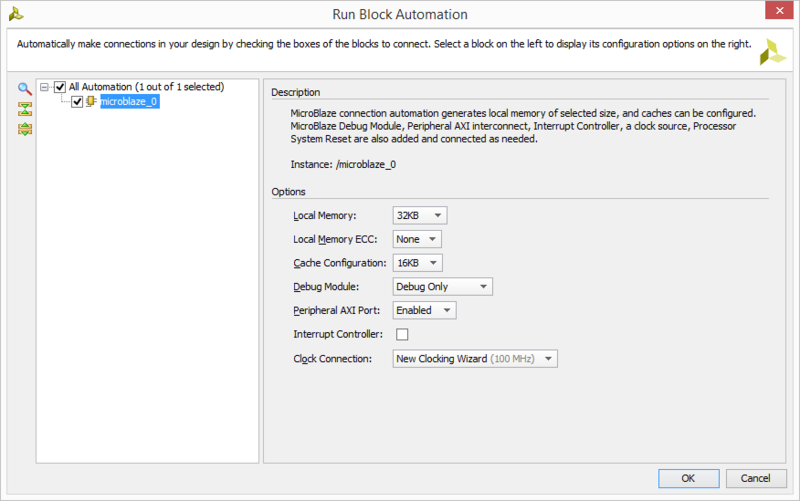 3.2) Select Run Block Automation and a customization assistant window will open with default settings. 3.4) Running the block automation will auto-generate a set of additional IP blocks which will be added to our hardware design automatically based on the options selected in the previous step. Do not click on Run Connection Automation yet. 4.1) Double click on the Clock Wizard (clk_wiz_1) IP block. 4.4) Select clk_out2 output frequency as “200.000” (Mhz) and set Reset Type as Active Low. The left panel shows a GUI representation of the block and its internal settings. Observe that the reset pin will now read as resetn. This graphically represents the internal setting for active low. 4.5) Now move to the Port Renaming tab. This will give you a summary of the inputs and outputs to the Clock Wizard IP block.Click OK to finish block automation of Clock Wizard. Do not select Run Connection Automation yet. 5.1) Go to Add IP and search for “UART”. 5.2) Select the AXI Uartlite IP block. 5.3) This will add a UART block to the existing design. 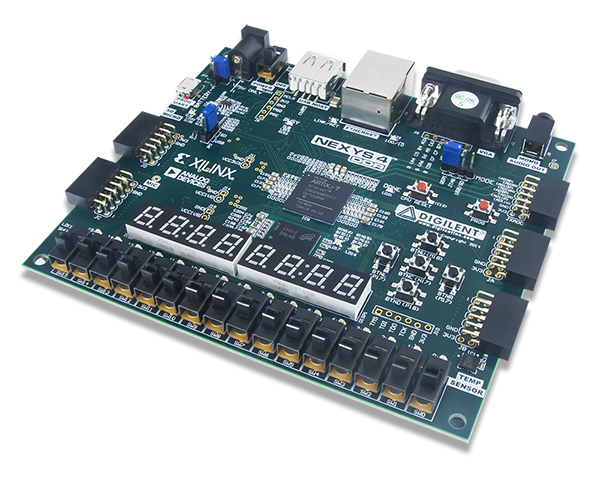 We need a UART controller to communicate between the terminal window on the Host-PC and the Nexys 4 DDR hardware. 6.3) Now select all available connections and click OK. Completing this step will connect all the IP blocks that have been added and customized up to this point. In addition to performing auto-connection of available IP blocks, a new IP block called microblaze_0_axi_periph will be added to our design. Two signal pins reset and sys_clock will be added as well. The pin signals point to the right indicating that they are inputs to the clock wizard block ( clk_wiz_1) and reset clock wizard block ( rst_clk_wiz_1_100M). Notice that the resetn input pin and the clk_out2 output pin on the clk_wiz_1 block is not connected to any valid signal. We will manually connect just the resetn pin to the reset signal. The clk_out2 pin will be manually connected later. Do not select Run Connection Automation at this point. 7.1) Manually connect the signal pin reset to the resetn input of the clk_wiz_1 block. Place your cursor pointer on the resetn input and you should see the cursor change into a graphical representation of a pen. Drag and drop anywhere on the reset signal line. 7.2) The manual connection will be highlighted. Do not select Run Connection Automation at this point. 8.1) Memory Interface Generator will be the final IP block we will add in our design. 8.2) After adding the MIG IP block, click on Run Block Automation. 8.3) Board part interface will be displayed as DDR2_SDRAM. Click OK to run the block automation. 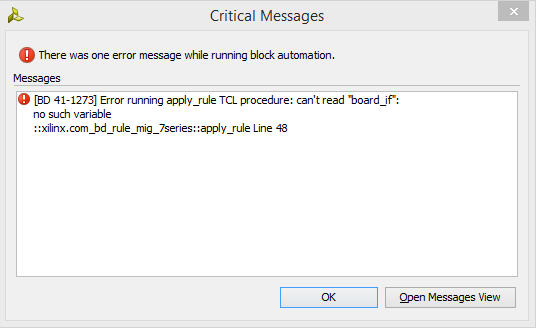 8.4) When the MIG block automation is run, you will see this specific error message [BD 41-1273]. You can ignore this for now. It will not affect your design in any way. The MIG block will be configured as per the board support files that have been downloaded for Nexys 4 DDR. Click OK to dismiss this message. You will find the MIG IP block now has additional input and output pins which have to be connected to valid signals. 9.1) Now click on Run Connection Automation message prompt on the Designer Assistance bar. 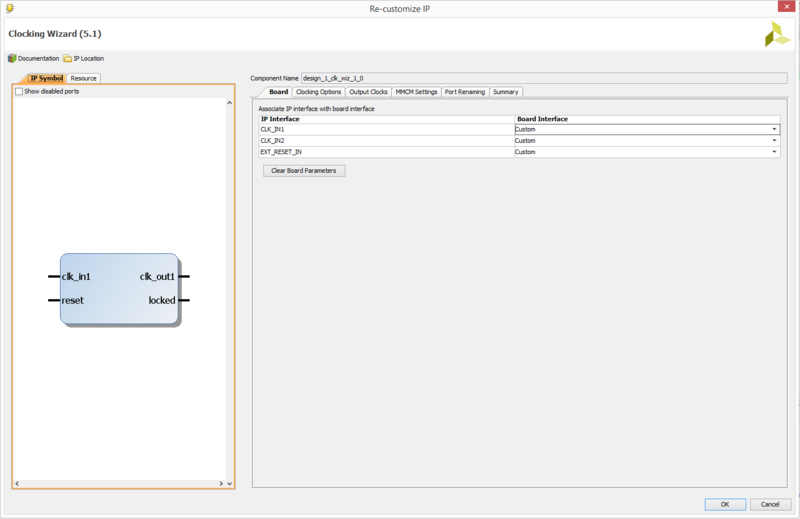 9.2) Select only the mig_7series_0 in the connection automation list. 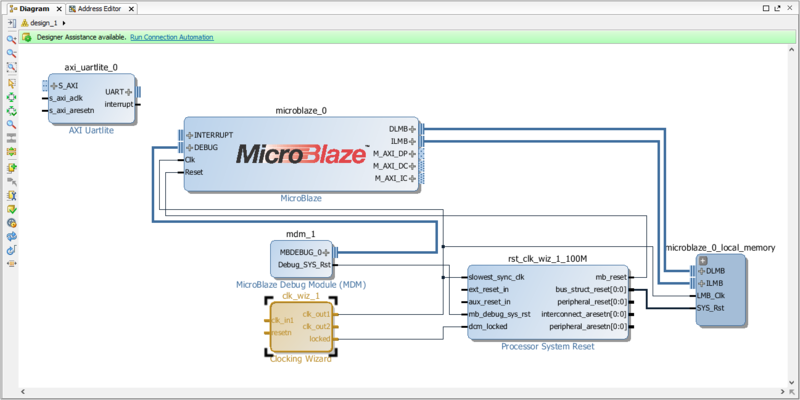 Do not select Microblaze section in this step. Click OK.
9.3) New signal connections will be made and displayed. 10.1) Manually connect clk_out2 output port signal on the clk_wiz_1 to the sys_clk_i input port on the mig_7series_0 block. clk_out2 signal is the 200 Mhz clock signal we have added during the Clock Wizard Block Automation step. 10.2) Select the button circled in blue. This is the Regenerate Layout option that will re-arrange the IP blocks in the design. 11.1) The MIG block should read mig_7series_0. Place your cursor on this symbol || next to the DDR2+ port name. Your cursor will change to look like a pencil. Right click here and in the drop down list select Make External or alternatively left click on || and use the keyboard shortcut, “Ctrl+t”. 11.2) This will create a new output port connection labeled as DDR2. 11.3) Regenerate the layout one more time. 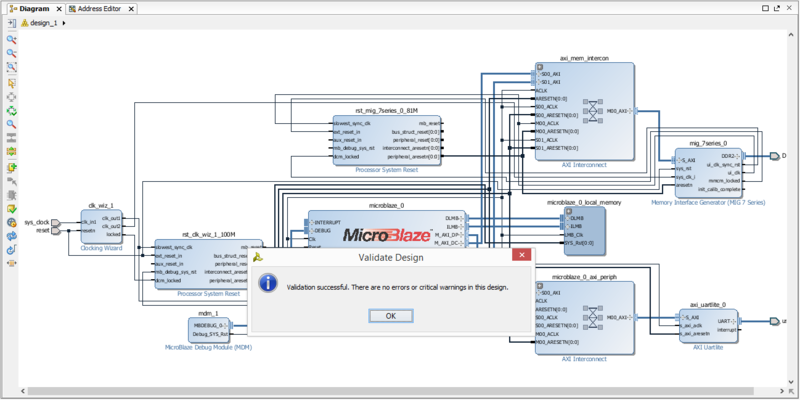 12.1) Select Validate Design. This will check for design and connection errors. 12.2) After the design validation step we will proceed with creating a HDL System Wrapper. 13.1) As highlighted in this step, right click on design_1 and select Create HDL Wrapper. Let Vivado manage the wrapper and select OK.
13.2) A system wrapper file will be generated and a message will be displayed in the tcl console informing us that the wrapper.v file has been generated. 14.2) In the Flow Navigator panel on the left, under Program and Debug select the Generate Bitstream option. If you haven't already saved your design, you will get a prompt to save the block design. 14.3) The bit file generation will begin. The tool will run Synthesis and Implementation. After both synthesis and implementation have been successfully completed, the actual bit file will be created. You will find a status bar of Synthesis and Implementation running on the top right corner of the project window. 14.4) After the bitstream has been generated, a message prompt may pop-up on the screen. You don't have to open the Implemented Design for this demo. Just click on Cancel. 15.1) On the top left corner of the window, from the tool bar click on File and select Export Hardware. 15.2) A new file directory will be created under Hello_World.SDK similar to the Vivado hardware design project name. Two other files, .sysdef and .hdf are also created. This step essentially creates a new SDK Workspace. If you browse to the location on the drive where the Vivado project has been created, you will see that new folders have been created under SDK. See TCL Console message in the screen capture below. Now that the design has been exported to Software Development Kit (SDK) tool, the next step will be to launch the SDK tool. 16.1) Go to File and select Launch SDK and click OK. The SDK file created local to the Vivado design project location will be launched. 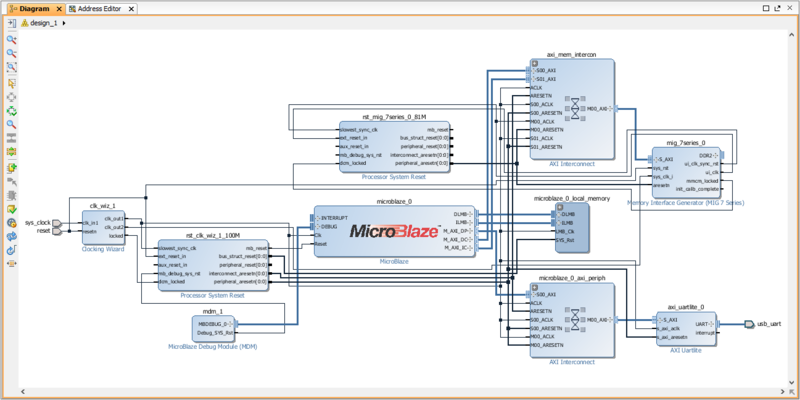 The hand-off to SDK from Vivado is complete. 17.1) A new window for SDK will open. The HW design specification and included IP blocks are displayed in the system.hdf file. 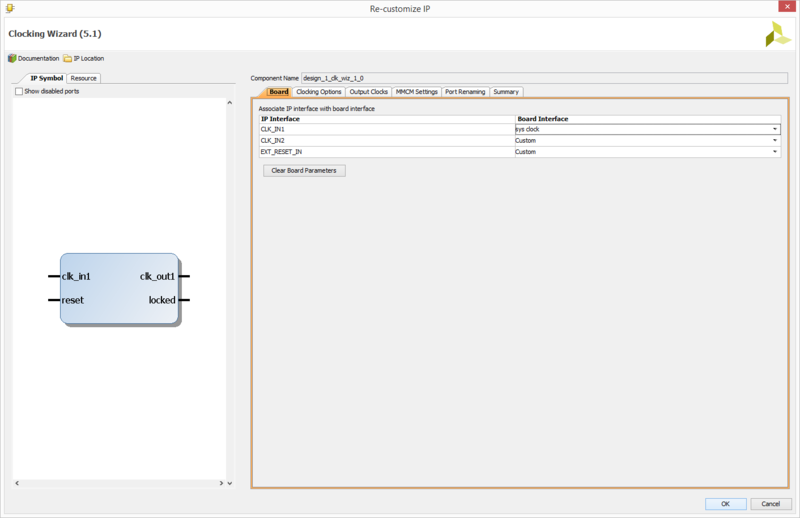 SDK tool is independent of Vivado, i.e. 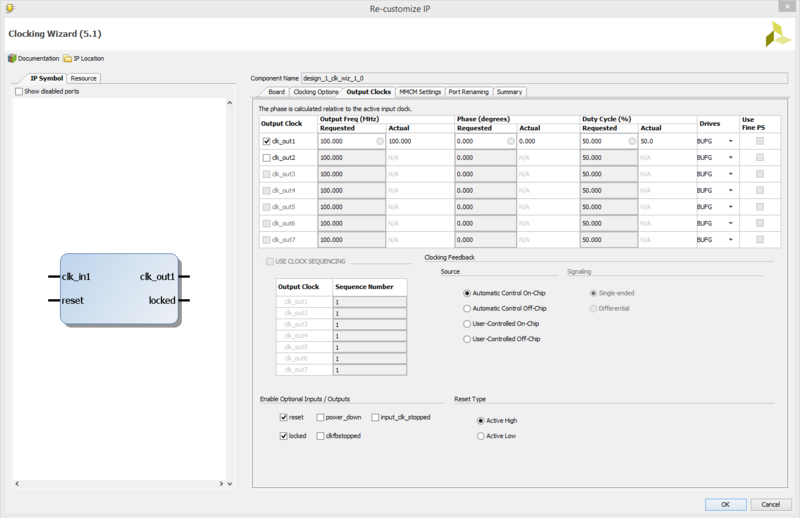 from this point, you can create your SW project in C/C++ on top of the exported HW design. If necessary, you can also launch SDK directly from the SDK folder created in the main Vivado Project directory. 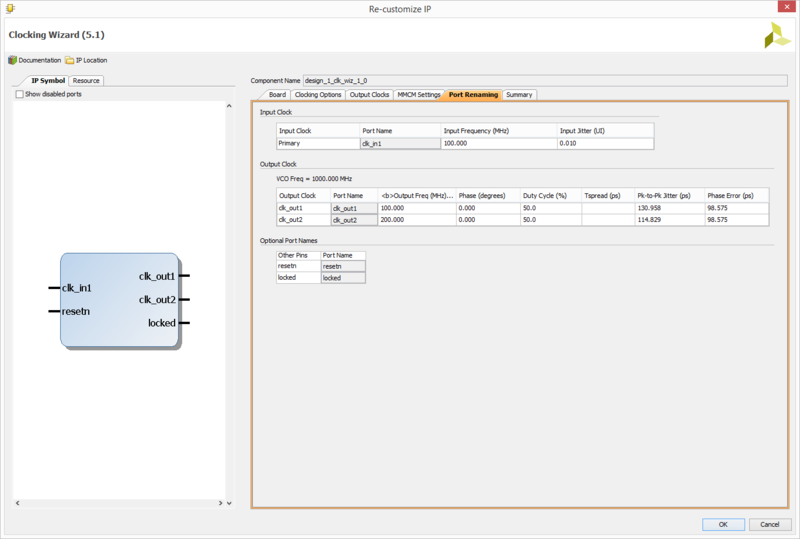 17.2) On the left corner of the main SDK window, you will find the Project Explorer panel. Notice that there is a main project folder under the name design_1_wrapper_hw_platform_0. 18.1) Go to File in the main tool bar and select New Application Project. A new project window will pop up. Give your SDK project a name that has no empty spaces as shown below. Make sure the Target Hardware is the correct hardware design. In our case, it will be design_1_wrapper_hw_platform_0. 19.1) Select Hello World under Available Templates on the left panel and click Finish. display_hello_world is our main working source folder. This also contains an important file shown here which is the lscript.ld. This is a Xilinx auto generated linker script file. Double click on this file to open. 20.1) In the linker script, take a look at the Section to Memory Region Mapping box. If you did the Make DDR2 External step then the target memory region must read mig_7series_0. 20.2) Back in the Project Explorer, double click and open helloworld.c under the src folder. src stands for source. This is the main .C file which will print hello world in the console when executed. 21.1) Make sure that the Nexys 4 DDR is turned on and connected to the host PC with the provided micro USB cable. In the quick selection tool bar, you will find a symbol with a red arrow and three green square boxes. This clickable button is physically located under the Search tab in the main tool bar. Click on this symbol to open the Program FPGA window. Make sure that the Hardware Platform is selected as design_1_wrapper_hw_platform_0. 22.1) After the FPGA has been successfully programmed with the bit file, from the Project Explorer panel, right click on the display_hello_world project folder which has been highlighted in the screen capture below. At the bottom of the drop down list, select Run As and then select Run Configurations. The Run Configurations window is divided into two main sections. In the left panel, under Xilinx C/C++ application(GDB), select display_hello_world.elf. * Note: In case you see display_hello_world Debug instead of display_hello_world.elf in this step, you can still run it without any issues. On the right side of this window, you will see five main tabs. Select the STDIO Connection tab. 23.1) Change Port name to the correct UART port. You can find the Communication Port Name/Number under Device Manager → Ports(COM & LPT). The communication port will show up as USB Serial Port (COM X) where X is the port number for your PC. For me it showed up as COM4. Select Baud Rate as 9600. 24.1) Hello World will be displayed on the Console tab as shown below. 25.1) Before establishing a serial connection with Tera Term, make sure that in SDK, the Connect STDIO box under the STDIO Connection tab in Run Configurations is unchecked.